This year again Upgrade! 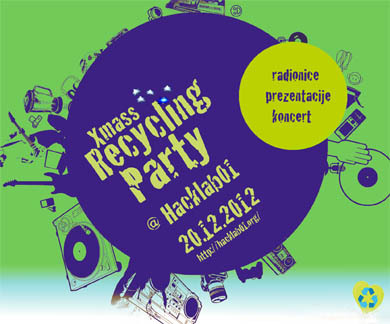 Zagreb in cooperation with Hacklab01 maintains the traditional Xmass Recycling Party: a little learning and a lot of goodwill and fun! If you do not know what to give to your loved ones for Christmas, come and create an original item of pvc bags, scrap metal and wood. The workshop will be held by Hacklab01 members, with the online radio broadcast as sound background. There will be video presentation of the most successful eco DIY projects in 2012, selected by the med-i-kids curators. After that, surprise concert. Join us, free entry! To apply for the workshop, e-mail to: medikids at wowm dot org. See you there!